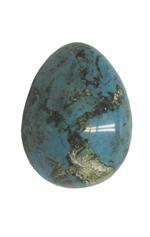 Item #EC-119: 1.9" tall Chrysocolla Egg. 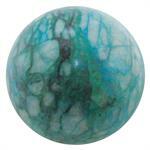 Item #GSE-139: 38-48mm Arizona Chrysocolla sphere in vivid Blue and Green. Item #GSE-268: 71mm Chrysocolla Malachite Sphere; greenish Blue with Brown matrix; 524.00 grams.